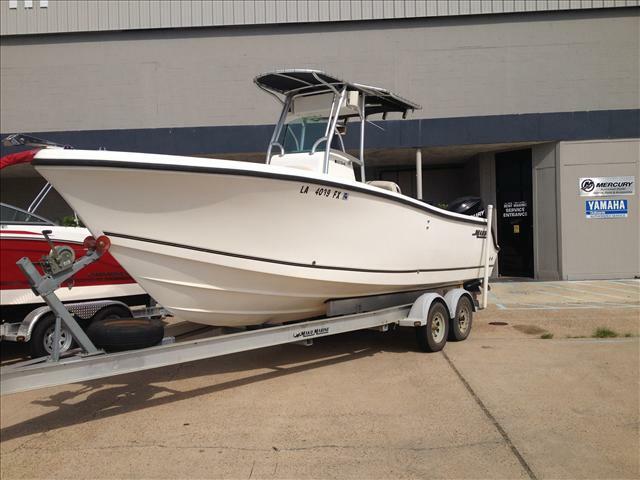 2005 Mako 234 Center Console You will hear your reels scream of this fishing machine! 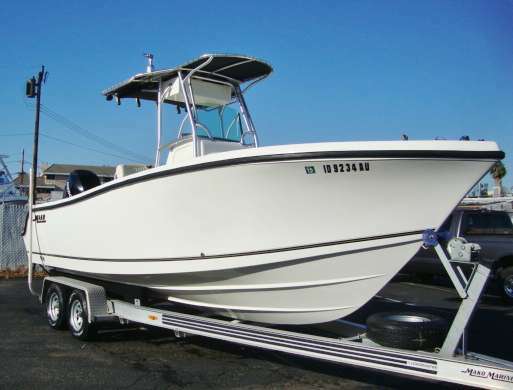 This is a MAKO 235 Center Console that is aggressive enough to push through choppy water in the Gulf, and with a shallow enough draft to easily transfer to an inshore fishing experience. 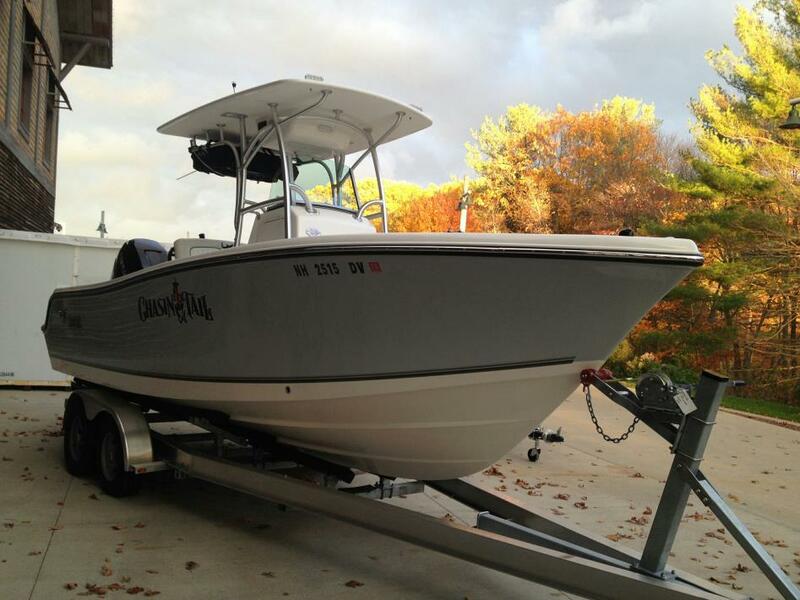 It is a true Center Console fishing boat that will take a beating, but not beat you to death. Plenty of storage, with 9 rod holders, rod storage, 20 gallon live well, and a fish cleaning station round out this well thought out fishing package. It even has a head in the Center Console for your more discreet riders. 2006 MAKO BOATS 234 Center Console Mako 234 Center Console. Advanced console design, multi-featured baitstation and large in-deck fishboxes are just the beginning of the improvements waiting for you on board. JUST-IN WELL EQUIPPED,,,more to come - WOW ! ULTRA CLEAN FRESH WATER USED ! 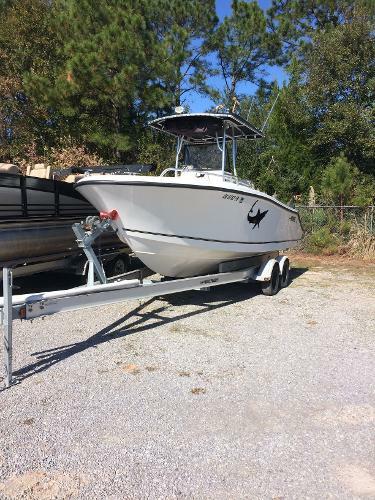 2006 Mako 234 Center Console, 23 ft 4in Mako great for diving or offshore fishing. Ez-loader trailer, Garmin 546, Mercury Smartcraft, and West Marine VHF 2 way radio. 150 gals of fuel.